Samsung plans to slash its OLED panel output in response to Apple's decision to cut production of iPhone X due to "weak demand", the Nikkei Asian Review reported on Tuesday. 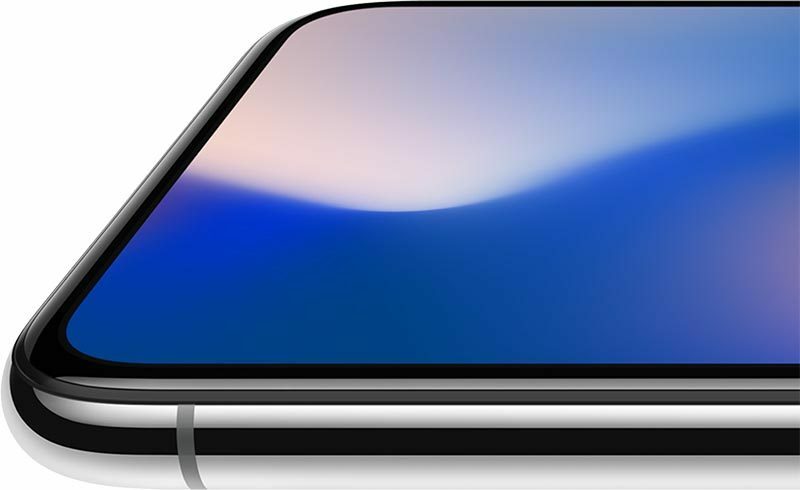 Samsung will make OLED panels for 20 million fewer iPhones at its South Chungcheong plant in the January to March quarter, a lot lower than its original goal of supplying panels for 45 million to 50 million iPhones, according to the paper. Samsung is said to have made a 13.5 trillion won ($12.6 billion) capital investment in anticipation of the originally expected number of OLED panel orders from Apple. The new target reportedly reduces plant production to roughly 60 percent of original forecasts, and Samsung's display business is expected to suffer revenue declines for the first half of 2018. Samsung stock fell as much as 2.3 percent in morning trade, reported Reuters, while shares of some Japanese OLED component makers also declined. Today's report follows previous claims by Nikkei that "weak demand" for iPhone X has forced Apple to slash its production target by half in the three month period from January. However the claim doesn't tally with Apple's own results reported at its recent quarterly conference call earlier this month, and it's unclear which supply chain sources the publication is relying on. Apple CEO Tim Cook has dismissed these types of reports in the past, suggesting that the company's supply chain is very complex and that any singular data point is not a reliable indicator of what's actually going on. During its record financial results report for the first fiscal quarter of 2018 (which corresponds to the fourth calendar quarter of 2017), Cook said the iPhone X was the top-selling iPhone model every week since it had debuted in November. iPhone shipments were down 1.2 percent year-over-year compared to the year-ago quarter, but only because of an extra sales week last year – Apple's growth was actually 21 percent year-over-year on an adjusted basis. FaceID is great from a technology standpoint, but really not a game-changer for the consumer. Face ID has completely changed how I use my iPhone. It feels like there's no passcode even set, even though it's highly secure. Makes for a totally different flow for just about every interaction. I say this as someone who actually owns an iPhone X and uses it all the time. Erm, except Apple's financial results show that it's selling very well indeed. Are you suggesting that they're lying to their shareholders? Top selling iPhone since it launched? As in the period since it launched, compared to iPhones currently being sold? Or highest selling iPhone of all time? My opinion is that the X is good, but not revolutionary. The screen to body ratio has been done by other manufacturers. The camera is great, but not the best on the market. FaceID is great from a technology standpoint, but really not a game-changer for the consumer. Like I’ve said before, you can have the equivalent Samsung for half price (in the UK at least). It does 99% of the things the iPhone does for 50% less. There is no Samsung equivalent. I mean, feel free to send me a link to a Samsung phone that natively runs iOS if I'm wrong. I know people have already said this, but if the price went down for the X, then it would sell a lot more. Face ID has completely changed how I use my iPhone. So... the main use case for your phone is unlocking it? I thought about this the other day I was in a caffe Nero place and for around 30 minutes I was in saw around 7 people paying with the iPhone X. The rest could have been any of the other 4 versions. At the Aldi supermarket I see them X all time. Just like the Airpods that I have started to see them everywhere. no it isn't as it doesn't run IOS or work within the ecosystem so you can't compare different brands. Are you comparing a phone model which has only been released for less than 4 months to 4 generations of iPhone (6,6s,7,8)? In recent months, I have seen iPhone X in the subway in my city nearly every day, and I'm not the kind of person who constantly look at what phone other people use.